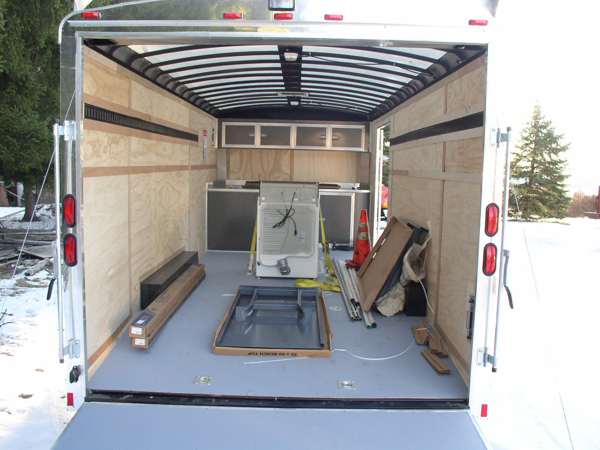 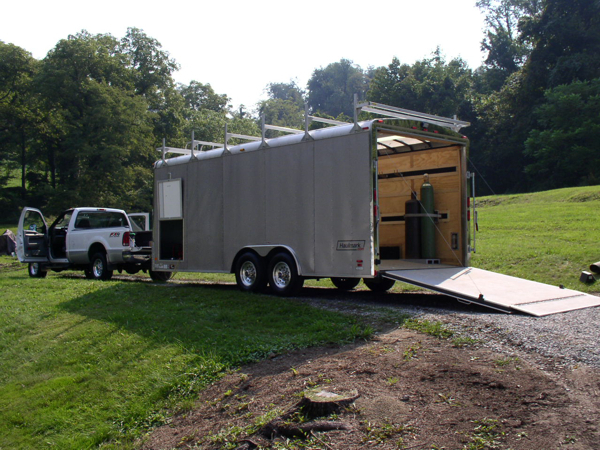 Kudas Industries customized a 20' Haulmark enclosed automotive trailer to provide a mobile workshop for the company. 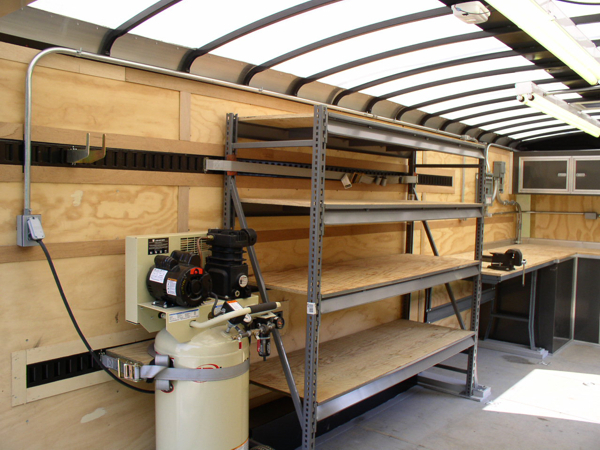 The finished trailer includes a 50 amp circuit breaker panel, 220/110v electrical wiring, fluorescent lights, generator hookup, air compressor, plenty of storage, lots of counterspace with a vise, and E-tracks for tie downs or hooks. 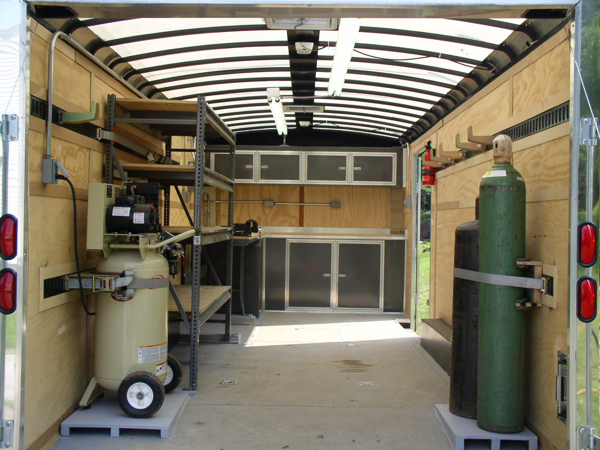 After: Complete trailer with air compressor, compressed gas rack, overhead lights, E-track, workbench, and shelving. 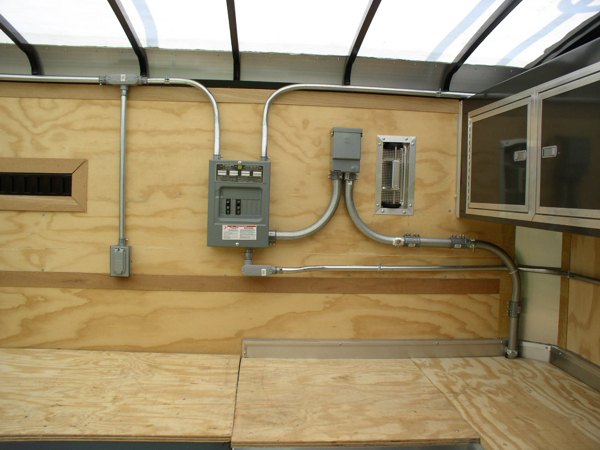 After: 50amp circuit breaker panel with four 20amp duplex receptacles. 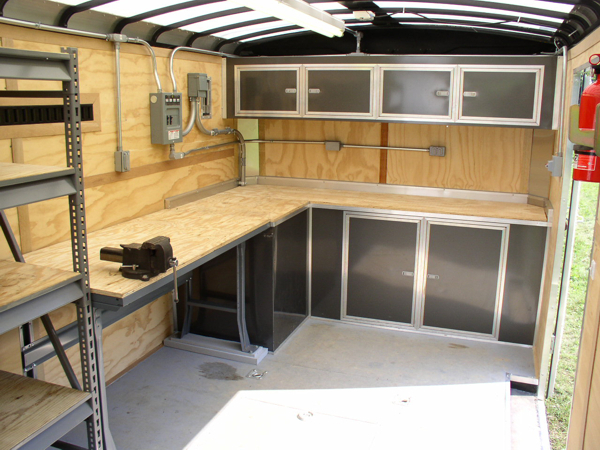 After: Lots of counter space with a built in vise. 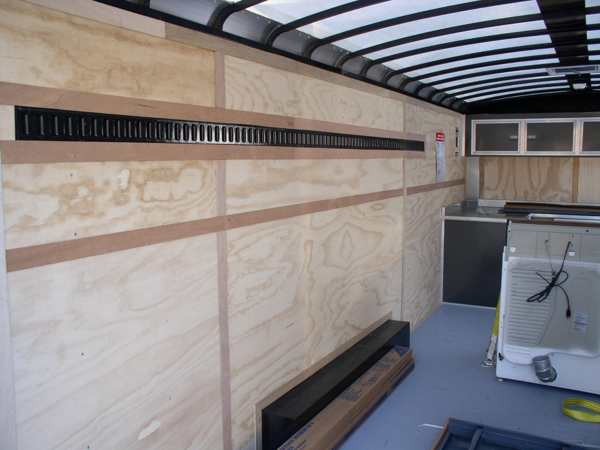 After: Heavy duty rack shelving. 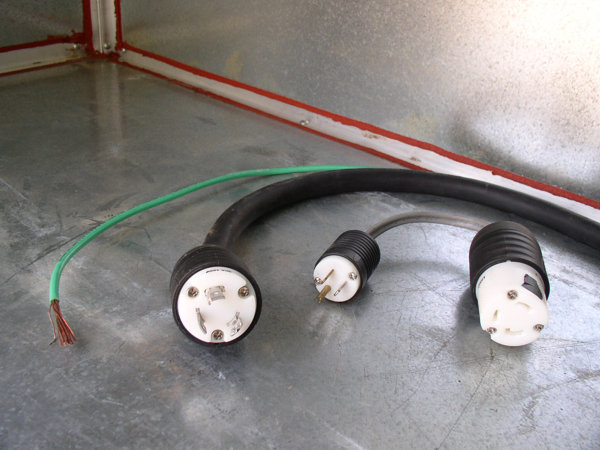 After: The main lead for the trailer power feed has a twist lock plug that can either be plugged directly into a generator or an adapter can be used to plug the trailer into any 110v receptacle.